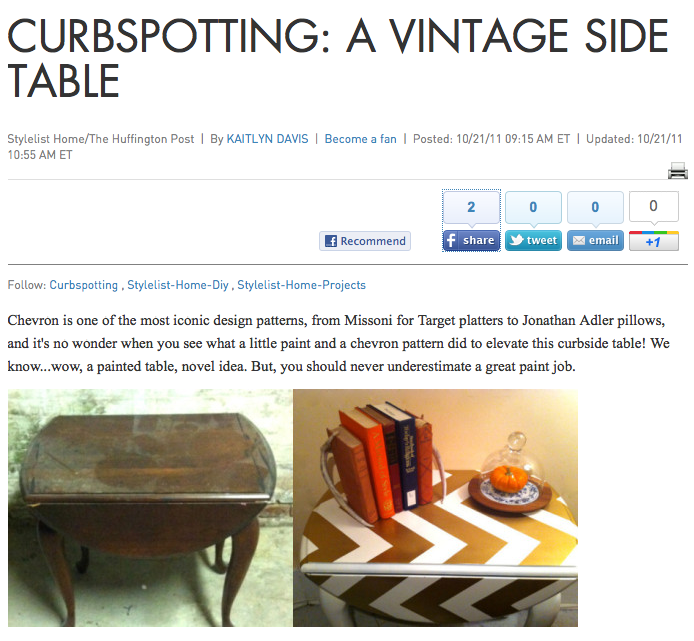 Remember the Street Merch turned Gold Chevron Side Table? Well, the Huffinton Post's new site, The Stylelist (devoted to all things Design & DIY) gave this little table a shout out! So glad to now know about the Stylelist - it's the neatest site - what a great source for fresh decor content! Thanks for the mention!! And remember, that table is for sale! Check it out!! Let me know if you're interested!